The Night Watchmen vs The Ghostbusters! 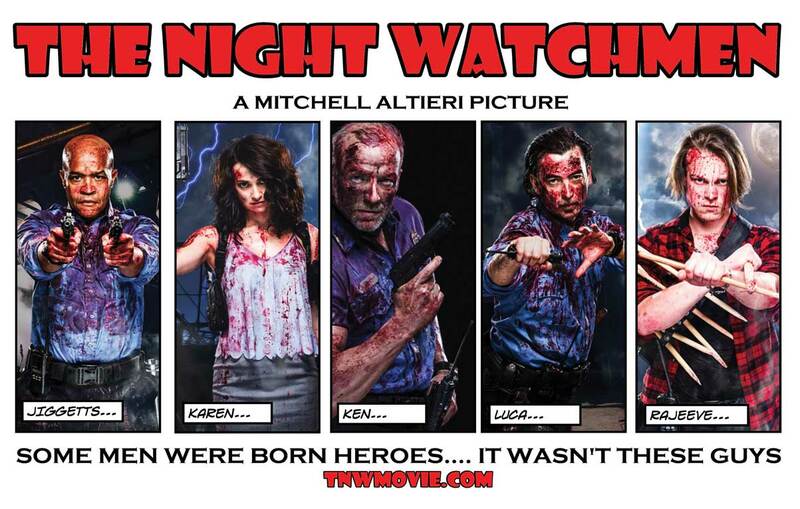 I just saw this cool little trailer for the a new horror comedy called The Night Watchmen which seems like a helluva great gruesome time. Despite the fact that there’s a new trailer for The Ghostbusters reboot that just dropped recently to me a smaller flick like The Night Watchmen thus far captures the vibe of a Ghostbusters movie than this latest reboot. I know that there’s a lot of negative press out there already about The Ghostbusters and though I really want to be excited something about it feels incredibly forced. It’s not the fact that the cast are all women either as many seem to like to claim is causing all the negative hype . Perhaps it’d made more sense to have at least a couple of the original Ghostbusters pass the torch. It would have been cool to have Dan Akroyd & Ernie Hudson be a part of the movie as the last two Ghostbusters standing who need to hire some new recruits once the supernatural start to stir in the city again. Instead we get another bland reboot that thus far doesn’t look like it’s got much of a personality of it’s own. It also feels more like a sequel to the recent Goosebumps movie in it’s way of bad CGI effects that in 2016 somehow still don’t improve on the original movies. Anyway check out this new Night Watchmen trailer as a horde of vampires led by an undead clown attack the after hours employees of a boring ol’ office building.. I finally got to see the latest Joe Dante movie last night! Needless to say “The Hole” was everything I was hoping for it to be and more! The only problem is that this great little movie hasn’t been released here in the USA yet-so I found a copy of it on Ebay, and import copy to be more precise. It has been released abroad in 3-D in theaters but has yet to hit the states-and I have been wondering if it will indeed ever make it to theaters?